Ina is a trained architect with membership in the German Chamber of Architects and project management experience in the field of knowledge-based, computational planning and design processes and building information models. 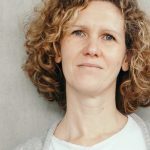 She holds a PhD in Information Science from the HU Berlin and is acting professor for Open Science and Research Infrastructures at Hanover University of Applied Sciences and Arts. Ina carries out experimental research and development at the Open Science Lab of the German National Library of Science and Technology, preferably involving students, Wikimedia or other communities with dedication to free knowledge and open science. Her fields of interest are open, collaborative knowledge creation and its interplay with machine-based methods, information modeling and contextualization as well as decentralized approaches for knowledge and data, responsible applications and use of AI and the relationship between digitisation and the intersectional points of science and society. Ina has successfully raised third-party funding on projects for upening up and enriching digital 3D models and other audiovisual content, for collaborative knowledge creation and for linked open data on research information. She serves as program committee member and reviewer for various conferences and journals and is mentor at the Wikimedia DE Open Knowledge Fellow Program.